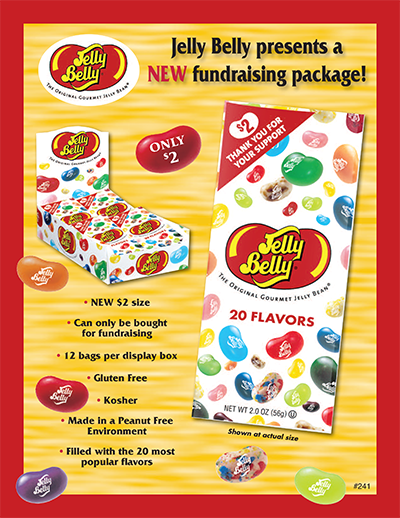 If you're looking for an awesome fund raiser for your organization look no further than America's Favorite Jelly Bean. Jelly Belly jelly beans are always highly sought after by everyone. Great Brand Awareness - Jelly Belly has a 96.1% name recognition rating. Priced Competitively with the Market - Not like some fundraisers where the pricing is way out of line with regularly established pricing. 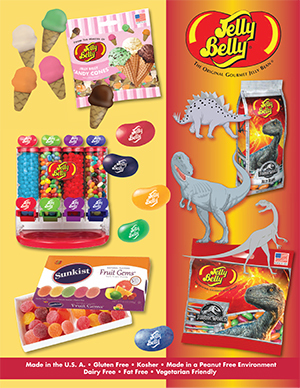 Quality - Along with great name recognition Jelly Belly is a high quality product and therefore a great association with your group or organization. Fast Turn Around Time - The Jelly Belly factory is only a few miles from Gateway's offices so we can fill orders quickly and completely. Check out our new look. With all of the new items, this brochure is sure to create excitement in the market place. With featured items from many movie releases like Star Wars, The Justice League and Finding Dory this is a winner. Have you tasted the new Organic beans they are awesome and sure to make your calls are received well.